The yellow metal gold is going to be very costly on dhanteras it expected to reach 33000 per 10 gram,trend down by 516 points price reach at 30242 per 10 gram. white metal trend has losses 335 points to 49205 rs per kg .while crude oil decrease trading value by 20 rs to 6090 rs per barrel. ***Diwali** round the corner, one of the most auspicious gold purchasing occasions is back in the country. 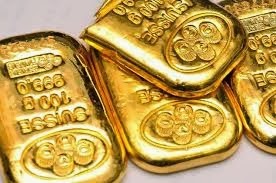 While gold prices have climbed up yet again after having witnessed a sharp correction in the first few months gold buyers have been left thinking if they should buy gold at these levels and if the prices will continue to harden from current levels. Ncdex SPICES trend looking in bearish side the chilli Nov contract decrease by 108 marginal points to its last ended session.dec contract also fell by 156 points to 6600 per quintal as on 3:45 pm on Tuesday evening. For today 's ncdex trend says guargum is going to be very high position. ,all contract must seen with positive movement ,gained too much profit at last in the month. GUARGUM dec contract has rise by 300 points to 14440 at 4 pm on Tuesday.